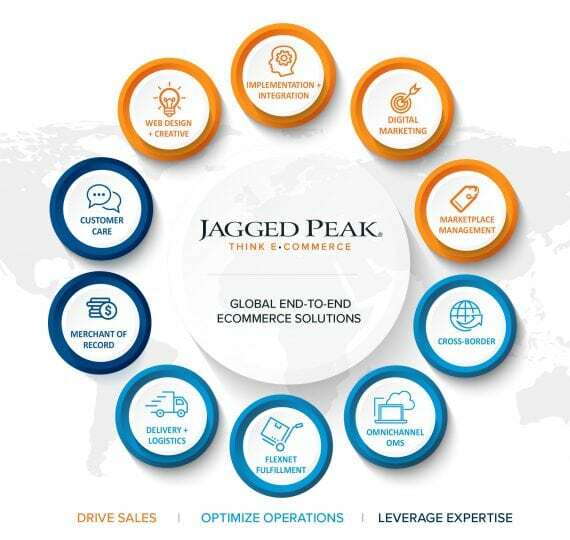 Jagged Peak is a one source solution provider delivering shop-to-ship commerce on a global scale. Our expertise spans everything from digital agency and online marketplaces to order management and cross-border technology, plus a global fulfillment and logistics infrastructure. We offer complete managed solutions or à la carte options specifically curated to address your needs and meet your commerce goals. Jagged Peak is a subsidiary of Singapore Post. 7650 W Courtney Campbell Cswy.